ElaN Languages, the online translation tool, has picked up the Digital Grand Prix at the 2015 Epica Awards for “ElaN Taste The Translation”. Not many people know the quality of ElaN, since almost everyone uses Google Translate. What better way to prove that one online translation tool works better than the other by putting them both to a test: a tasting test. A Japanese sushi cake recipe was translated from Japanese into Dutch, once with ElaN and once with Google Translate. A chef was given the two translated recipes to cook and offer to passersby. 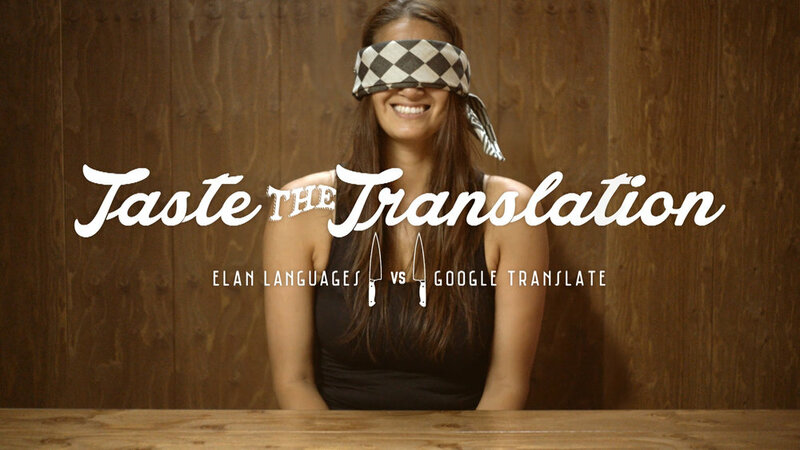 The outcome was clear: ELAN translated a far tastier dish than Google Translate. People were genuinely surprised by the difference in quality of translation by the two different tools. The Elan Taste The Translation campaign was developed at JWT Amsterdam by concept team executive creative director Bas Korsten, creative director/art director Maarten Vrouwes, copywriter Friso Ludenhoff and designer Kyoto Takeshita, with designers David Navarro, Ronald Mica and Güney Soykan, strategy director Agustín Soriano, concept producer Linda Jansen, screen producer Stephanie Ruitenbeek, post production producers Stephanie Ruitenbeek and Mariska Fransen. Filming was shot by director Maarten Groen via DPPLR, Amsterdam, with producer Amber Akkermans, editor Ruben Labree, director of photography Mick van Dantzig, freelance editors Wouter Abbestee and Chee-Han Wong. Sound was designed at Studio Alfred Klaassen, Amsterdam, by sound designer and arranger Jacco Lenstra.